The power will be in your hands! Although technically the power will be in the vacuum. Cleaning is hard. But it doesn't have to be hard! It just has to get done! SO GET IT DONE. Put a Dyson in your hands and bring the cleaning all the live-freakin'-long day. Then you can relax all the live-freakin'-long night in a nice clean house. The way you're meant to be. 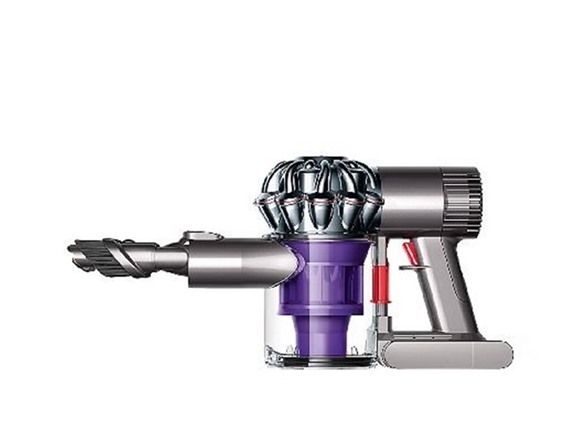 The V6 Trigger handheld vacuum cleaner is powered by the Dyson digital motor V6. This 350W motor, 2 Tier Radial cyclones and a re-engineered nickel manganese cobalt battery combine to provide powerful suction. Choose 20 minutes of high powerful suction or 6 minutes boost mode for more difficult tasks.